Starting on Monday, August 27, UNIS Hanoi will have professional photographers on campus taking individual portraits of each student and class photos. 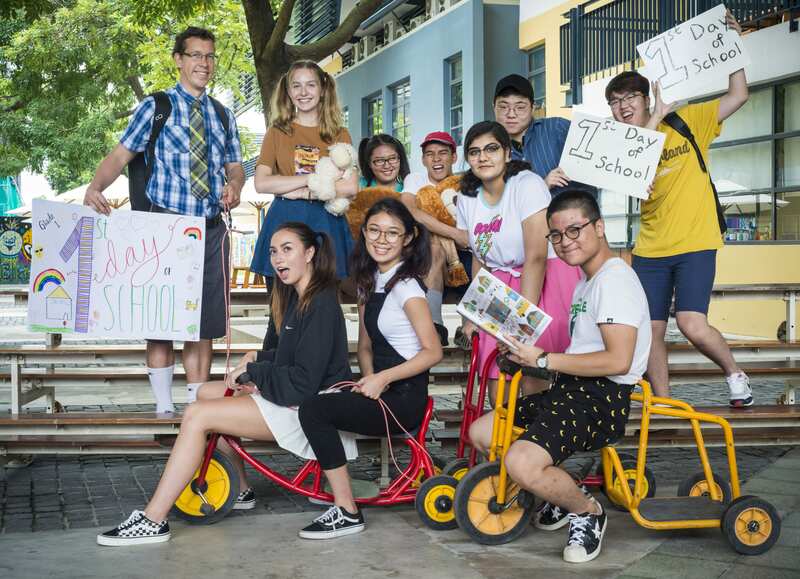 The photos will then be used for the UNIS Hanoi Yearbook and other official school materials and information system. IMPORTANT NOTE: If your child(ren) has PE lesson during the day, please remind her/him to bring an additional shirt for the shoot. We will provide a mirror and hair dryer in the Community Room. 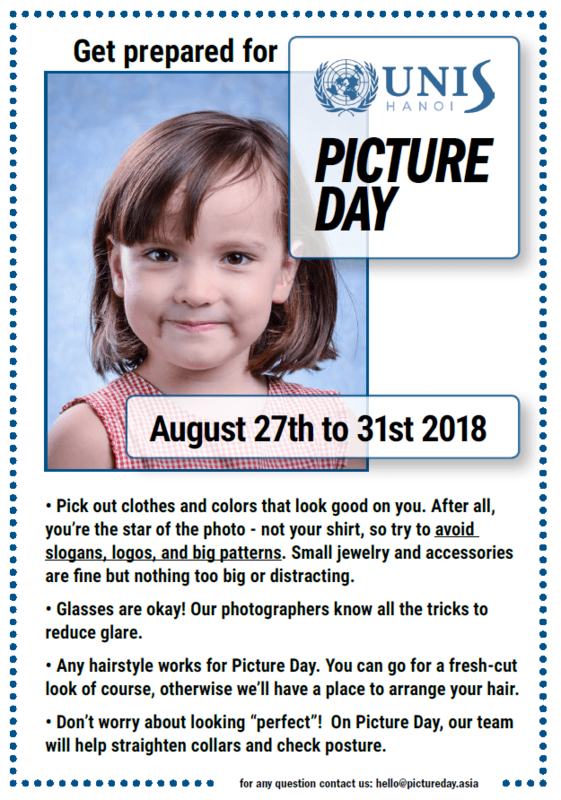 If your child is absent on her/his assigned day, all make-up photos will be taken in April 2019. When will my child(ren)’s photo be taken? You can view your child(ren)’s photo schedule HERE. There are three tabs ES/MS/HS for each school division. Please look for your child’s divisional tab to know their portrait and class photo schedule. If you have any questions about the photo schedule please contact communications@unishanoi.org . As a parent, you will have the opportunity to purchase different sized photographs of your child’s portrait and his/her class photo. You will be receiving an access code via email on September 19. This access code allows you to log in an online catalog with all portraits and class photos options for your child(ren). Photo order deadline and date of receipt will be indicated in this email. Tips for a striking photo!